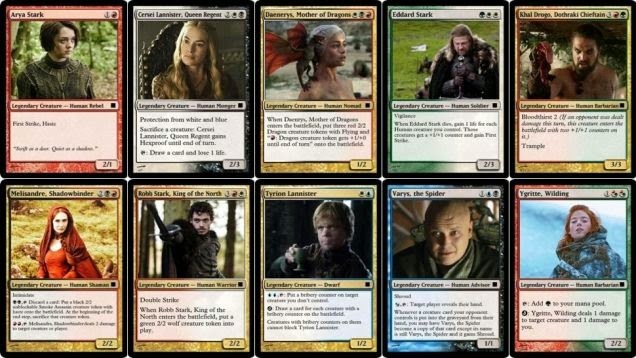 What's remarkable about these Game of Thrones characters re-imagined at Jerm Tube as Magic: The Gathering cards isn't so much how convincing they look, it's how much thought was put into making them read like functional Magic cards. 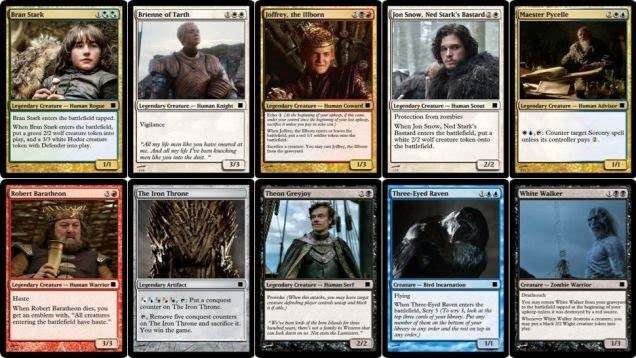 You can download them individually here, here and here. 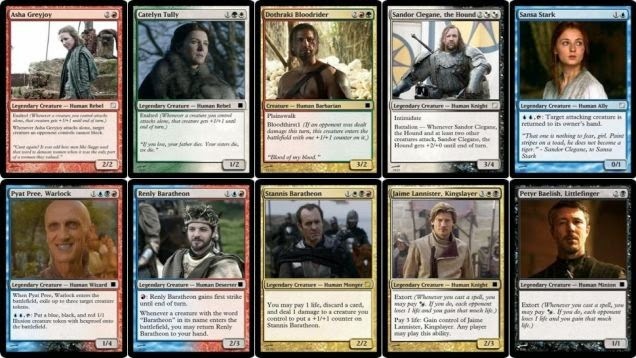 I'm not sure if these rules quite outdo the outstanding Game of Thrones board game, but man, if someone wanted to make a MTG expansion based on the Game of Thrones universe, I would play it.